This morning a friend of mine hit me up on BBM with a link to summarizing views from RIM developers at yesterday's BlackBerry Jam tour. It's noteworthy to see these kinds of comments coming out of a California audience. RIM has been working on its presence in the valley for a while, but most people don't associate BlackBerry with Silicon Valley. This region tends to be so much more iOS and Android focused. The quick version of what she wrote? Developers say RIM actually "gets it". They're listening to requests and delivering great tools. 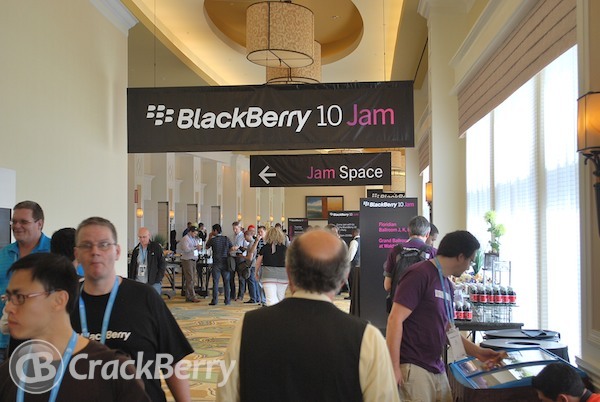 They believe BlackBerry 10 holds immense promise for RIM and its developers. RIM seems to actually have a cohesive vision. Dolcourt specifically pointed out that the press doesn't actually "get" what RIM is doing behind closed doors, because they aren't being invited to attend. I think that's a damn shame, quite frankly. Just look at the positive press RIM is getting from CNET for standing on the outside, interviewing developers? Imagine the huge amplification of positive press they'd get if they actually invited the media inside and hand-held people while encouraging conversations with developers? RIM still needs to "get" the idea that good press is good for the company. I asked them on Twitter if I could attend the Toronto date of BlackBerry Jam. So far no official answer. So, RIM ... show us you understand the power of positive media.